There are many margaritas in the world, but only one original recipe. 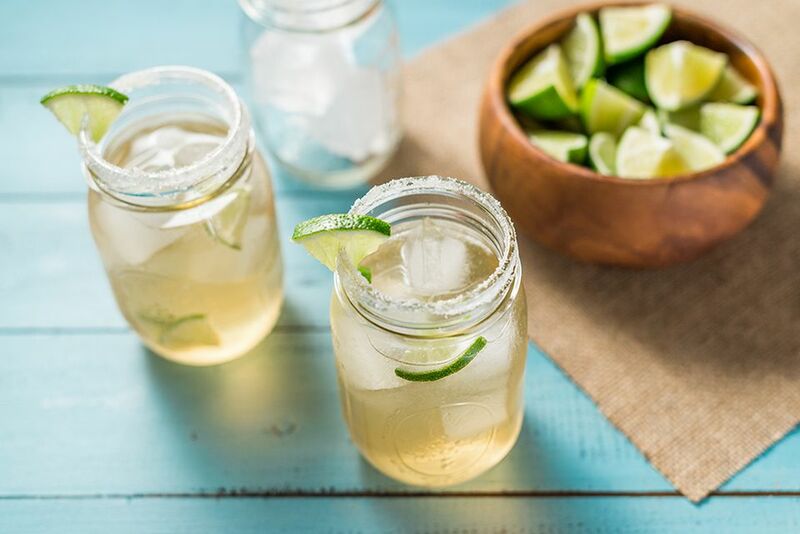 The classic margarita is one of the easiest cocktails you can make from scratch and you'll love the refreshing lime flavor backed by your favorite tequila. The secret to a great margarita is in its simplicity. There is no great mystery to this iconic drink and it's not complicated. The only ingredients you need are tequila, triple sec, and lime juice. Once you find that ideal balance of flavor, you'll realize just how delicious a fresh margarita is. It's also so easy that it's hard to justify buying a bottled margarita mix! There are three basic ways you can serve a margarita: straight up (as in this recipe), on the rocks, or frozen. The next question is whether to rim your glass with salt or sugar or to leave it bare. The possibilities are endless and a margarita glass is not required. If desired, salt the rim of a chilled cocktail or margarita glass. Choosing a good tequila is essential to creating a superior margarita. It is the main ingredient and a cheap, low-quality tequila will only bring the drink down. Pick up a medium- to high-end blanco or reposado tequila for this cocktail. This recipe uses a bit more lime than triple sec, though some people prefer to keep the two even. If you would like to make it a little sweeter, add a dash of simple syrup or agave nectar as well. How Strong Is the Margarita? Using the original recipe and an 80-proof tequila along with Cointreau, the margarita would not be considered a low-proof cocktail. It typically comes out around 23 percent ABV (54 proof). If you serve it on the rocks, it will dilute a bit over time. It's become quite popular to serve a margarita in a mason jar with a ton of ice. If you attempt the margarita recipe above, you'll quickly find that it does not come anywhere close to filling the glass. That's because the original recipe is designed to be served as a short drink. With a volume of only 3 1/2 ounces, it will barely fill many of today's larger margarita and cocktail glasses. Keep in mind that this is a classic cocktail recipe, and the glasses back in the day were much smaller than the ones we use now. If you want to make a mason jar margarita, you will need to go with a recipe designed for the larger volume. This modern version will make a drink that's just over 6 ounces. You can also fill the average mason jar mug is with ice cubes and plenty of fresh fruit. To make this margarita, shake 2 ounces tequila, 1 ounce triple sec, and 3 ounces fresh sour mix with ice. Strain it into an ice-filled mason jar (with a salt or sugar rim, if you like) and add a few lime wedges. There's a great book dedicated to mason jar cocktails. If you're a fan of mixing in this glass, pick up a copy of Shane Carley's "The Mason Jar Cocktail Companion." All of the recipes are measured in parts and many of the booze-heavy recipes have been adapted to the higher volume. Carley's mason jar margarita, for instance, is quite easy. It simply mixes 3 parts tequila, 2 parts orange liqueur, and 1 part lime juice. The beauty of the "parts" mixes is that you can adapt it to any size of glass you like. Also, the abundance of ice in a mason jar will dilute the drink perfectly so you don't get too drunk too fast.